Getting married? Somewhere on your to-do list is “procure cute favors that will make all our guests smile.” And we’re here to tell you that tea is the way to go. 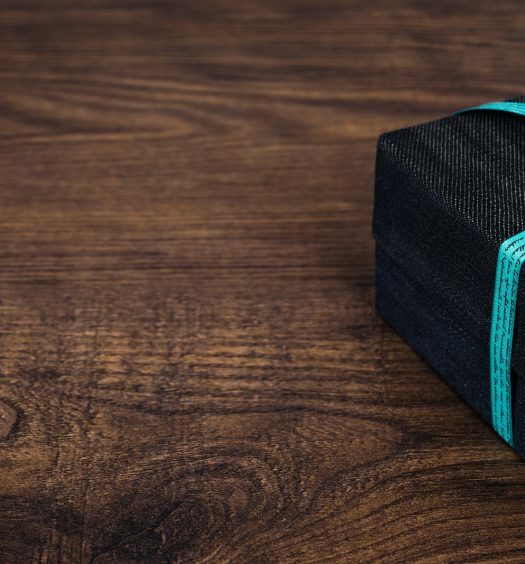 We’ve rounded up a bevy of tea-related favors that will knock your guests’ socks off. 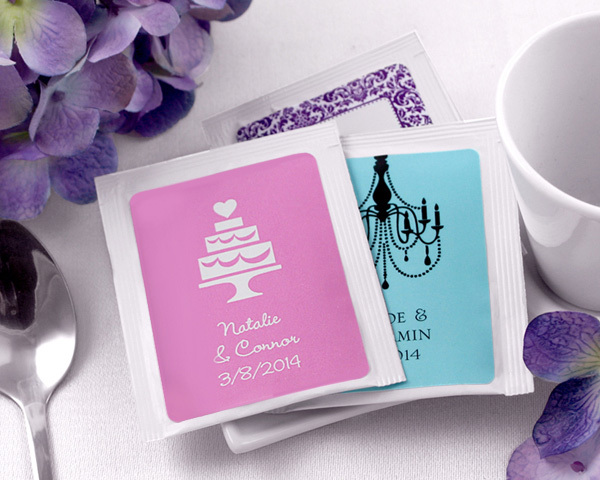 Give your guests the gift of tea with these personalized tea bags from My Wedding Favors. 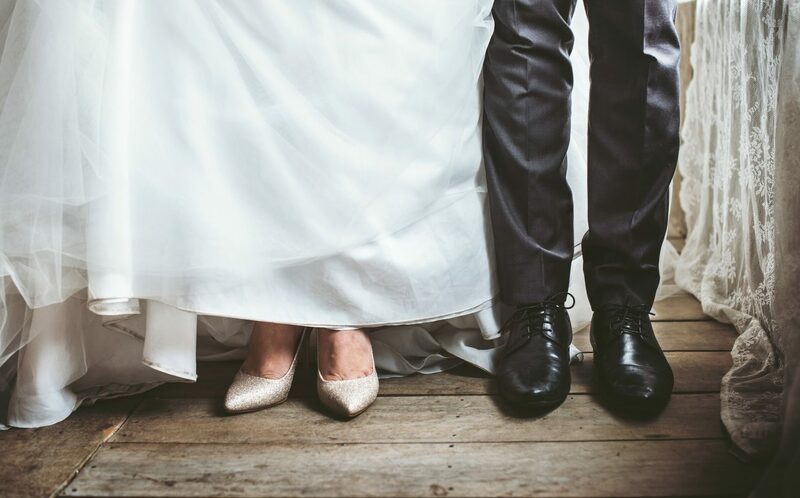 Choose from a variety of designs and add your wedding date or names to thank your attendees for making your wedding day so special. 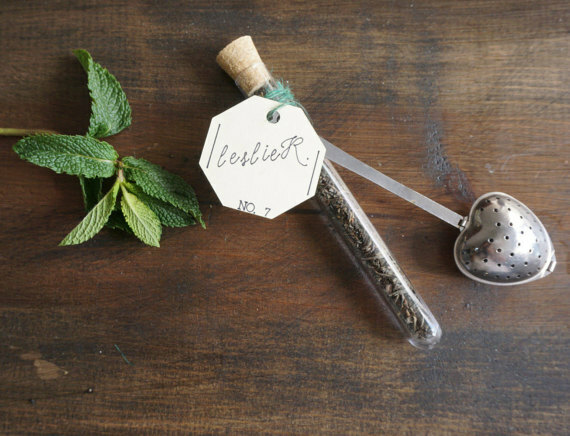 Present your guests with these cleverly-packaged samples of loose leaf tea and heart-shaped infusers from Season of Favors. Each pair comes with a nametag that can double as a place card. Two birds, one favor! 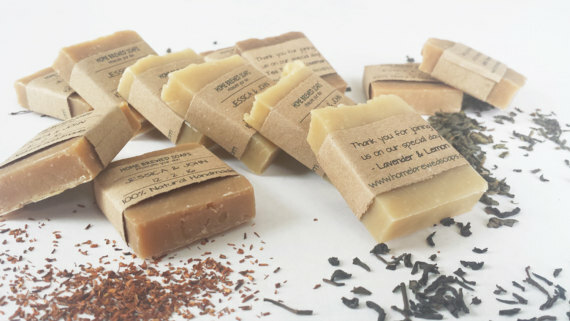 Spice things up with personalized tea soaps from Home Brewed Soaps. Each batch of soaps is made especially for you with custom labels. They’re produced in Maine from a combination of fresh brewed organic teas and other natural ingredients such as oils and butters. Scents include: Jasmine & Bergamot (Jasmine Tea, Orange, Bergamot), Spiced Rooibos (Rooibos tea, Cinnamon, Clove, Orange), Tea Tree & Rosemary (Green Tea, Rosemary, Tea Tree), and Lavender & Lemon (Earl Grey, Lavender, Lemon). Fragrant and hygienic? Sign us up. Treat your guests to these small tins of loose leaf from The Tea Wagon. 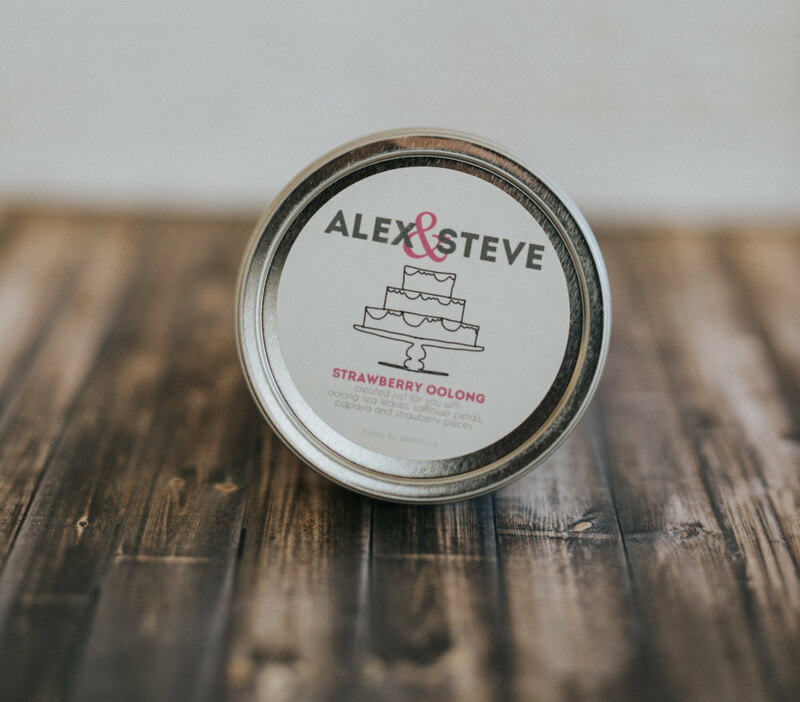 Each stainless steel tin has a screw-top and holds 3-5 servings of tea, the perfect size for guests to put in their pockets or purses at the end of your Big Day. Flavors include: Belgian Chocolate Rooibos, Canadian Breakfast, Caramel Apple Rooibos, Chamomile Mint, Cherry Berry Banana, Chocolate Mint, Earl Grey, Marzipan Rooibos, and Pomegranate Cardamom. Yum! A good marriage involves a lot of puns. 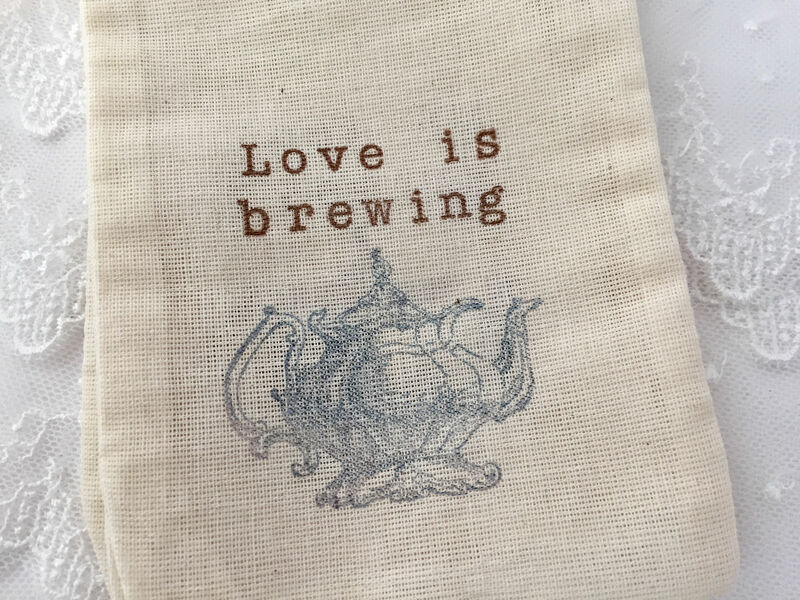 Get things off to an auspicious start by presenting your guests with these “Love is Brewing” drawstring bags. Each muslin bag is 4 x 6 inches and perfect for filling with tea bags, loose leaf, or any other trinket you fancy. 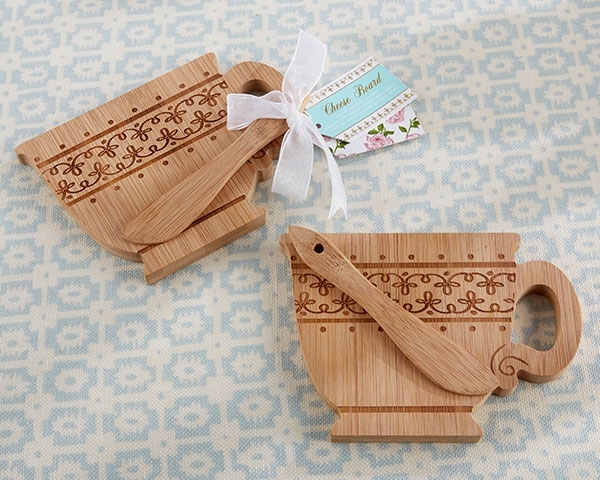 These bamboo teacup-shaped cheeseboards are a unique favor idea for your wedding guests. Each comes with a spreader and can be personalized with gift tags. Your loved ones will enjoy snacking on cheese while sipping tea long after you’ve said “I do” with these adorable gifts. 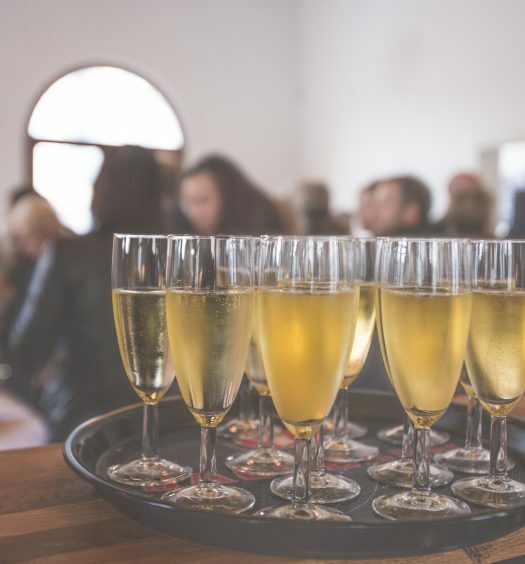 Your wedding guests will appreciate this cute, versatile party favor. 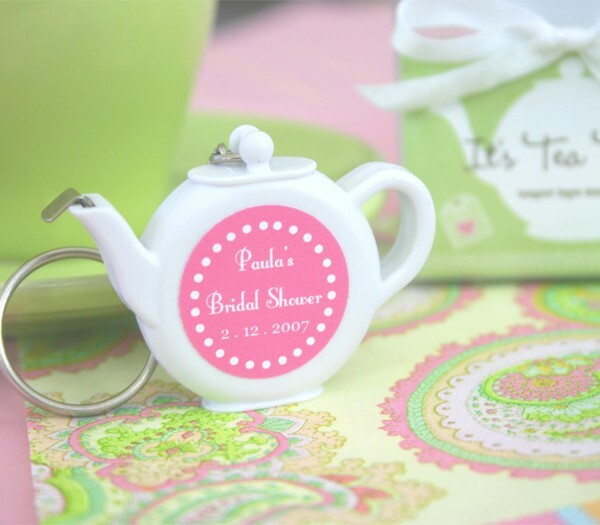 Each teapot is also a key chain and tape measurer, and you can personalize the message on each one however you like. The tape measurer inside stretches 39 inches and the whole trinket measures a compact 2.25″ x 3.2 inches. 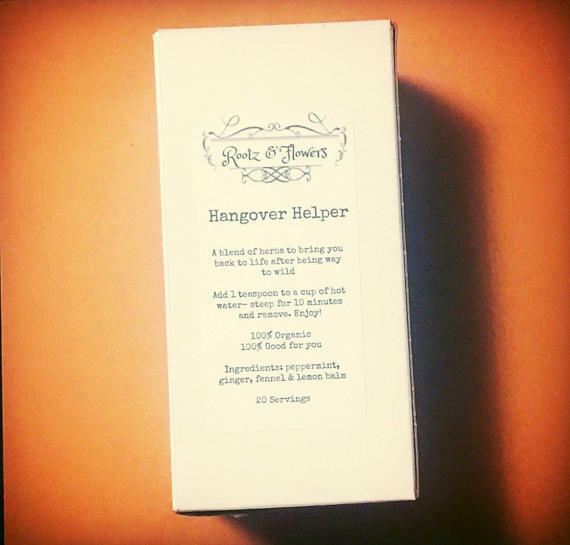 If you expect your Big Day to get a little rowdy, give your guests an organic way to recover with this Hangover Helper mix from Rootz &Flowers. Each handmade batch of tea contains peppermint leaves, fennel seed, ginger root, and lemon balm. The seller promises that each cup of this loose leaf herbal tea will make your stomach feel better, relax tense muscles, and stop headaches. Sounds like the perfect way to recover from an epic wedding reception.